I was born in Eskilstuna on January 26, 1981. I live in, work in and owns a small appartment in central Eskilstuna, very close to the train station. I work as a computer programmer, mainly in ASP.NET using C#, CSS and SQL. I do most work from home but I visit the Stockholm office at least once a week. I like to play Chess both over the board and as Correspondence Chess. I also like to play RTS games like StarCraft 2 and Red Alert 3. I also like to play Microsoft Minesweeper. My other interest are history and training at local gym. 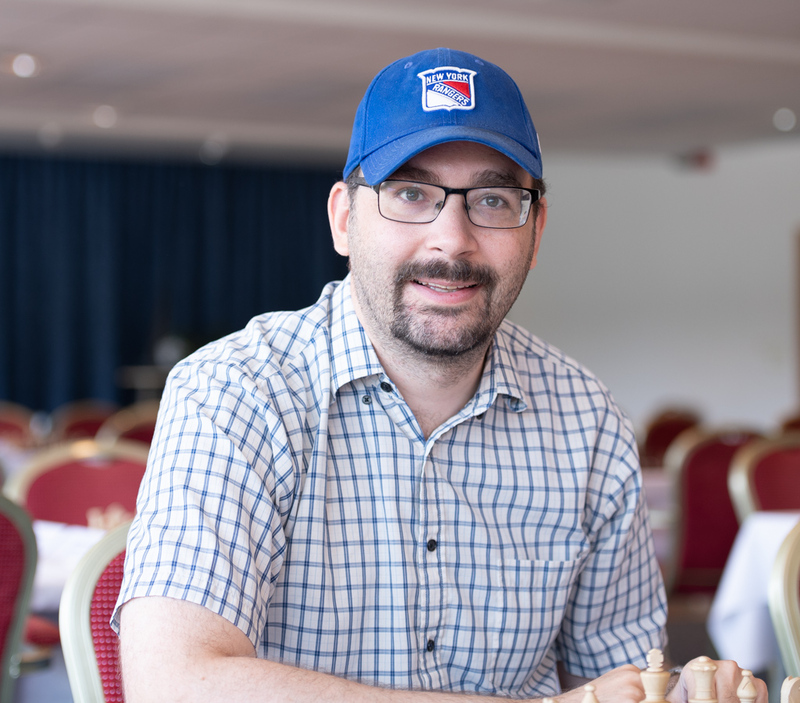 Official photo from Swedish Chess championship 2018. Photo by Lars OA Hedlund. Favorite food: Medium rare steak with potato gratin. Favorite desert: Glace au four. 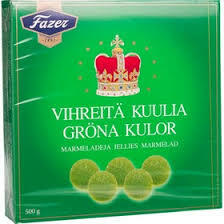 Favorite candy: Fazer Gröna Kulor. I read a lot of books and I own a large collection of Chess books, programming books, history books, and fiction books. I like and own several music albums from for example Kent, Magnus Uggla, Nordman and Sarek. I also collect movies. My favorit program is "A Game of Thrones". 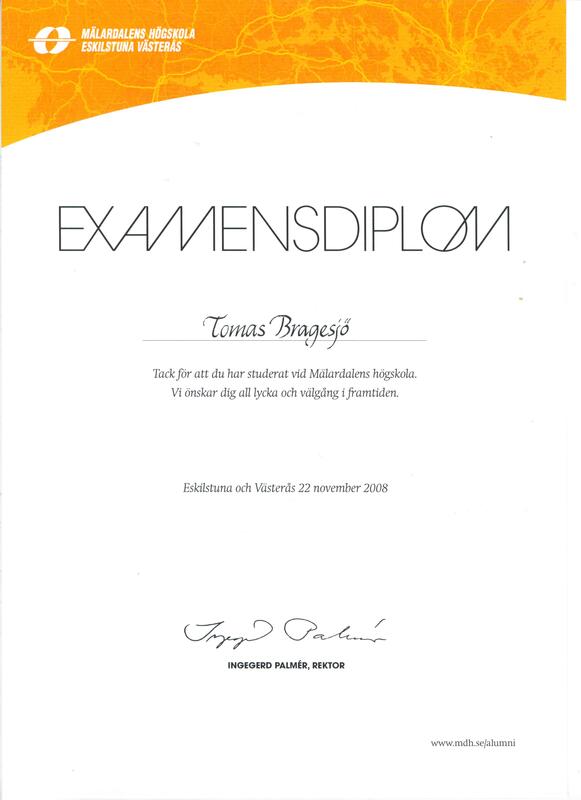 I have also retained all my notes from both Komvux and from Mälardalen University. Here bellow is small list of some of my favorite books. "The D'Artagnan Romances" (The three musketeers, 20 year after, Vicomte de Bragelonne) by Alexandre Dumas. "2001: A Space Odyssey" by Arthur C Clarke. "Hundraåringen som klev ut genom fönstret och försvann" by Jonas Jonasson. "När Finland var Sverige" by Herman Lindqvist. "Jean Bernadotte : mannen vi valde" by Herman Lindqvist. "De vilda Vasarna - en våldsam historia" by Herman Lindqvist. "The art of War of Bernadotte" by Jean-Baptiste Bernadotte. "Starting Out: 1 e4: A reliable repertoire for the improving player" by Neil McDonald. "Beating Unusual Chess Defences: 1 e4: Dealing With The Scandinavian, Pirc, Modern, Alekhine And Other Tricky Lines" by Andrew Greet. "Openings for Amateurs" by Pete Tamburro. "Opening Repertoire: Nimzo and Bogo Indian" by Christof Sielecki. "Keep It Simple 1. e4" by Christof Sielecki. "Mastering the Nimzo Indian" by Tony Kosten. "Winning Chess Middlegames" by Ivan Sokolov. "Khalifman: Life and Games" by Gennady Nesis. "Everymans Chess Move by Move series about individual players" by varios authors. 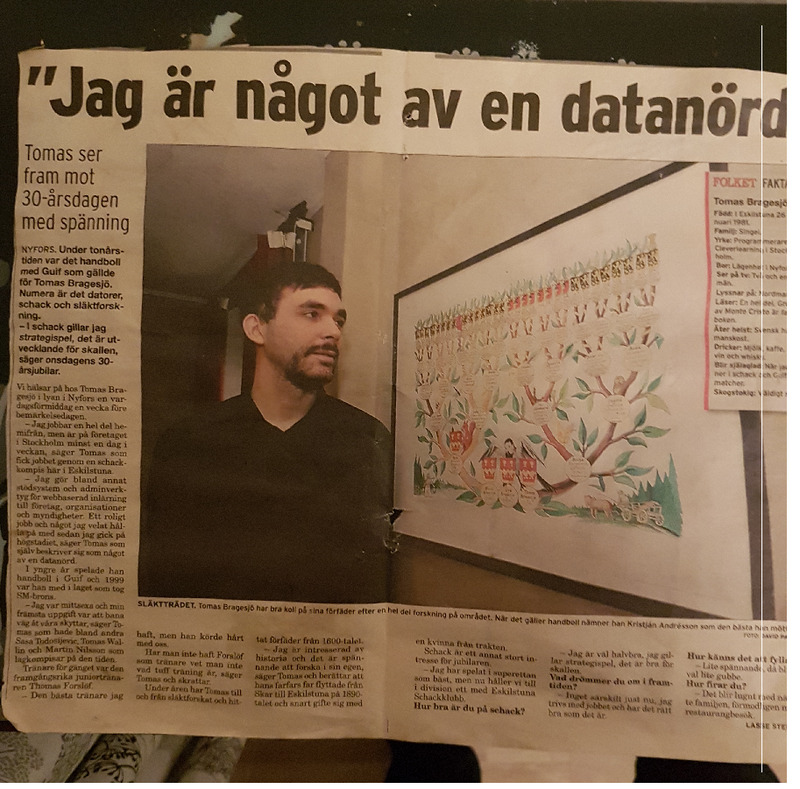 When I became 30 years old I got interviewed in both local newspappers. Both my mothers father and my fathers mother are rumored to descend from the Royal House of Bernadotte. See my family tree. Jean Baptiste Jules Bernadotte was born as a commoner. He started hes carrier as a regular soldier and during Napolean Wars he became Marshal of the Empire (Marshal of France) and Sovereign Prince of Pontecorvo and later became elected as king of Sweden and as Swedish king he conquered Norway. The House of Bernadotte is the only Royal House that was created during Napoleon era that still rules. 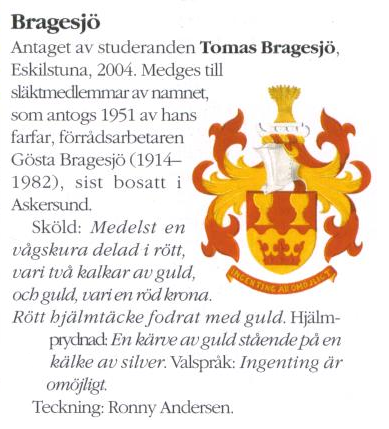 Animation with a picture of me from 2016 and a picture of Swedish King Gustav V.
My coat of arms was created in 2004 and the image bellow is a scan from the magazine Vapenbilden 60 where it was first published. The coat of arms was designed by Ronny Andersen, who is the Royal Danish courts armspainter, and Jesper Wasling from Svenska Heraldiska Föreningen. 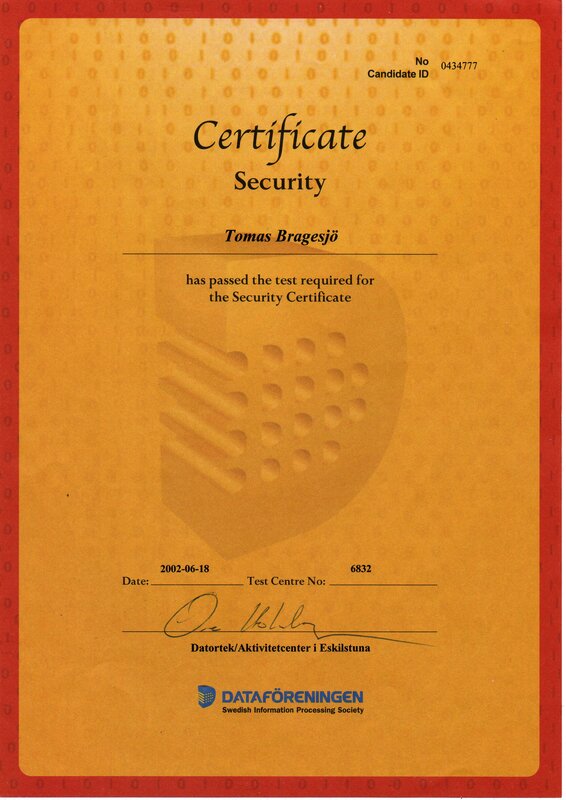 My greatest achievements are probebly my Scholarship from SYSteam when I graduated from Rekarne Gymnasiet and my Degree of University Diploma from Mälardalen University and my swedish AM/B driving licens. I also like that I have a coat of arms and a heraldic familty tree. 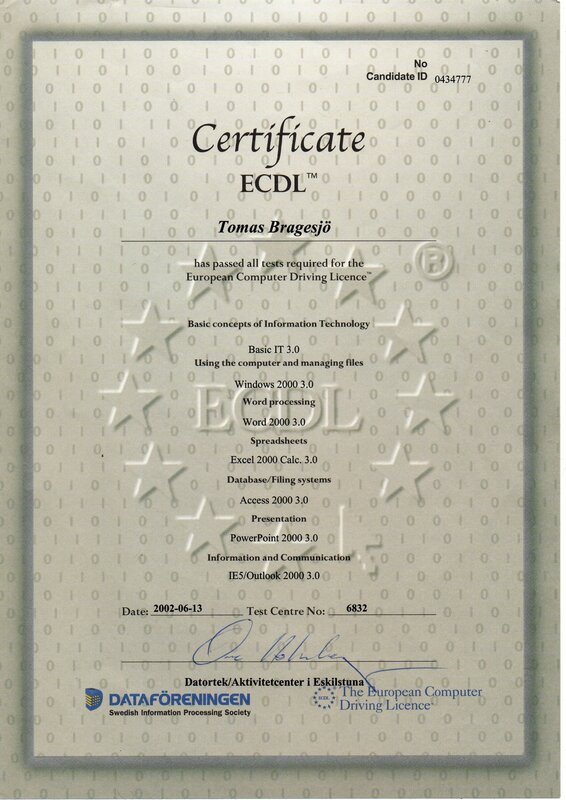 I also got both ECDL certificate and Security certificate from 2002. 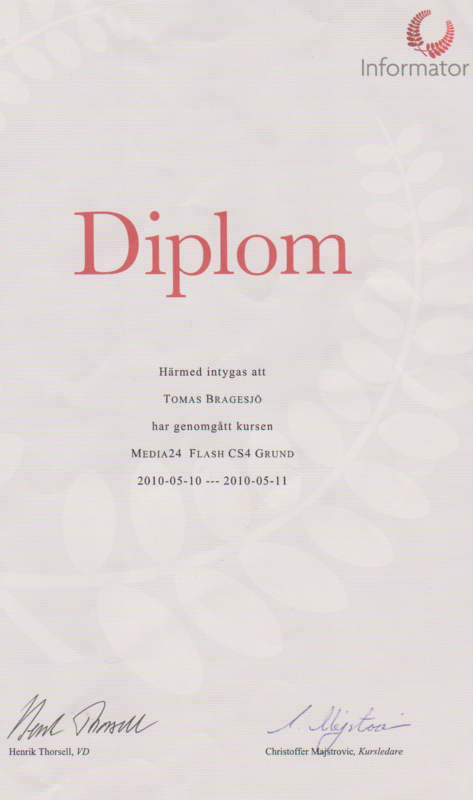 I have also read at Företagsakademin where I got Flash CS4 in 2010 and and Photoshop CS5 Web in 2011. 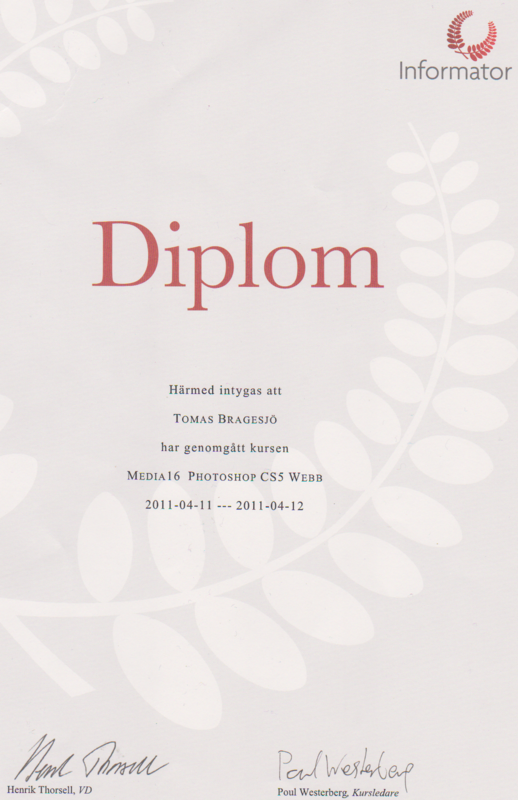 I manage to get highest grade on several courses both at Mälardalen University and at Rekarne Gymnasiet and at Komvux. I have won bronze medal at Swedish Junior Handball championship 1999 and gold medal at Järnvägen Cup 1999. In StarCraft 2 Coop games I have taken Terran Commanders achievement points. I have also completed all StarCraft 2 single player campaigns, including at brutal difficulty on the 2 first, as well as Nova expansion pack, and taken several Feats of Strength achievements. In StarCraft 2 Coop games I have also reached Mastery level with all Commanders from all races and taking "Master Commander archivment" and taken "Galaxy Commander archivment" and taken "500 Brutal archivment" and also taken all Commanders archivment points with several Commanders from all races. I have won or got top 3 in several Chess tournaments in both over the board Chess and in Correspondence Chess including with different time controls. I have played multiple Correspondence Chess team matches for Team Sweden, including winning several of the mini matches. In Chess team events I also have played team matches in Superettan and in Svenska Cupen, including winning over titled players in both. I have as playing Team Captain lead Eskilstuna SK to victory in the entire Södermanlandsserien multiple times. 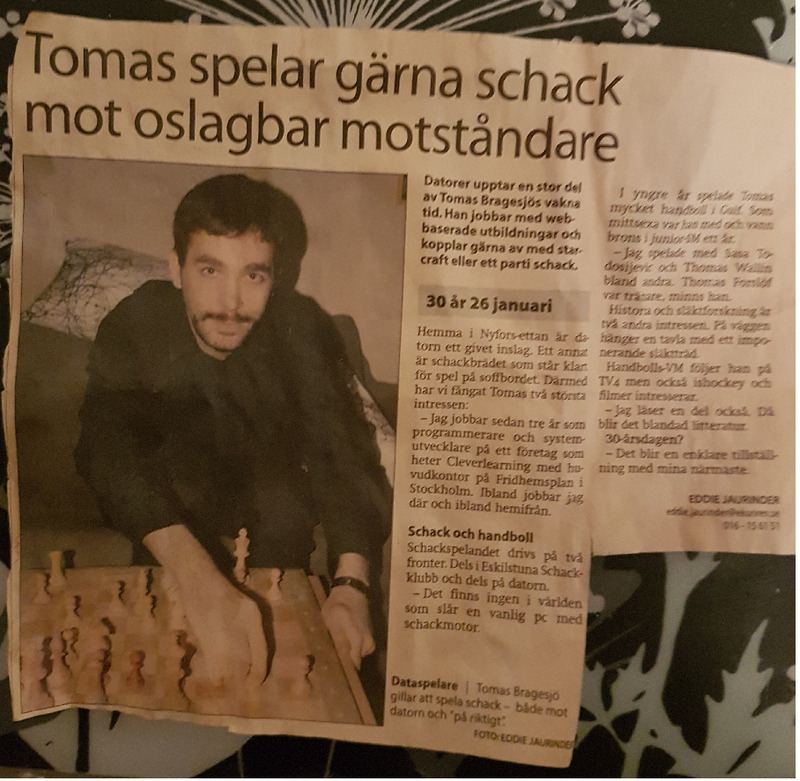 I have also played Chess throughout large parts of Sweden. I have won rating prices in both "Trettondagsblixten" and "Hasselbacken Open". I reached 2nd place overall (1st in my class) in Official Pre Swedish Chess Championship tournament "Sanktionerade" and 2nd place in my class in the real Swedish Championship the same year (2015). I have become the districs 3rd best player 2 times in "Södermanlands Öppna DM" (Södermanlands Open District Championship). My name is also mentioned in a positive way in two different chess books by two different authors from the time when I played Sicilian Dragon as black. I for example invented a TN and posted it and the next week GM Radjabov played my novelty. I have reached several final tournaments in Correspondence Chess where I played vs other winners of similar events. 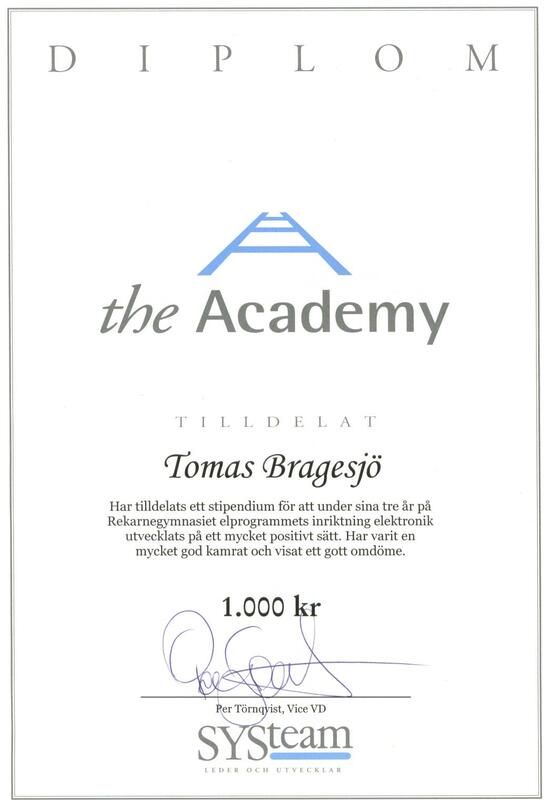 I have been member of board in many organzations, including as webmaster, secretary, janitor/steward (materialförvaltare) and junior trainer. 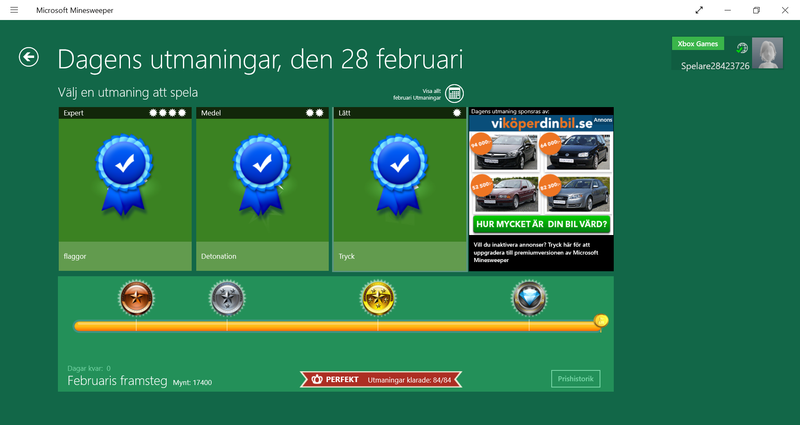 I have also completed all monthly challenges of Microsoft Minesweeper multiple times. An other archivment is that I own an appartment. I am also proud of my large collections of books and my large collection of movies and my many drawings of my coat of arms and I have got several heraldic articles publiched. I have also been interviewed in two local newspapers and are listed in the book Ryssnäs-släkten (The Ryssnäs family). I have also worked a many places and has many professions, not only as computer programmer but also as teacher and worked with AK:5 rifle reparations among other types of jobs. 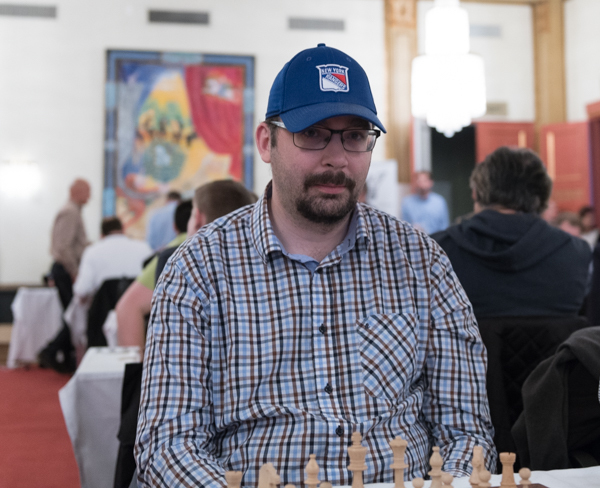 Official photo from Hasselbacken Open 2017. Photo by Lars OA Hedlund.